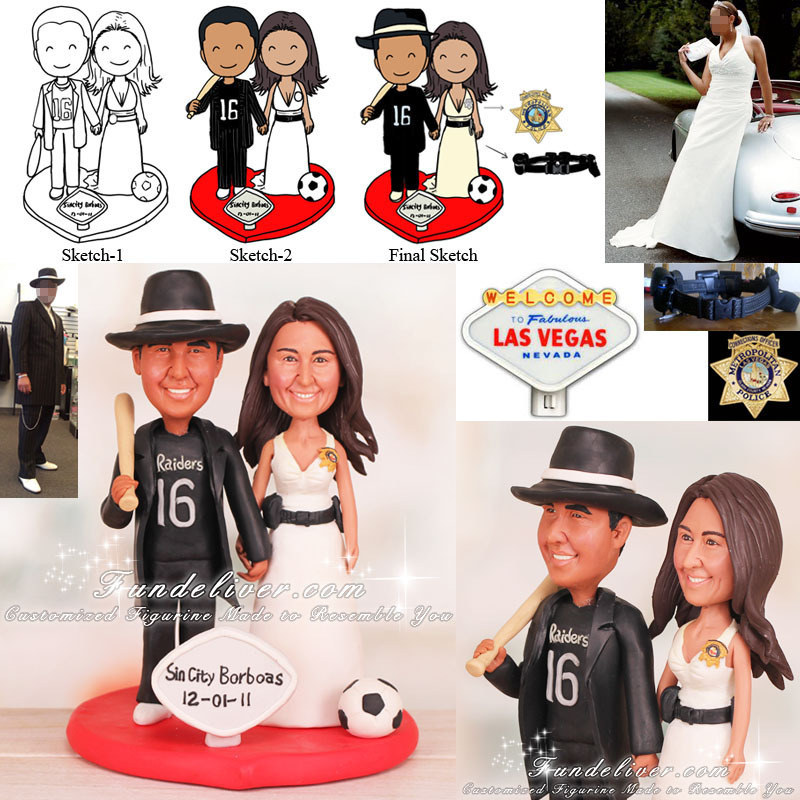 This is a completely customized Corrections Officer wedding cake topper ordered by one of our customers. They would like to have the groom dressed in the zoot suit with a Raiders jersey underneath, zoot suit open to see the jersey. The groom has a baseball bat in his hand, resting on his shoulder. The bride is wearing her elegant wedding dress, since she is a Corrections Officer she would like to have a duty belt around her waist, and a badge on her left chest side to accent the touch of Corrections Officer. 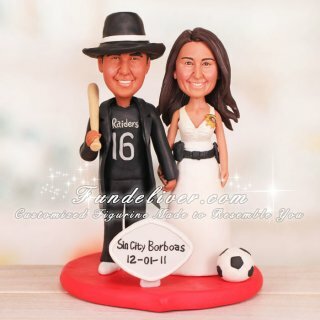 For the base, they would like a red heart shaped base with a Las Vegas replica sign that says "Sin City Borboas" and their wedding date “12-01-11”.